Medium and light duty brick ties for the building industry can be supplied and are available in stainless steel 316 or in red-galvanised form to comply with AS/NZS 2699.1.2000. Suitable for securing timber or steel frames and brick cavity walls, they are available in boxes of 500. We can also manufacture specials parts to a specific customers requirement, with minimal tooling. Features include a moisture control detent in the wire to prevent moisture crossing the cavity. All parts are manufactured in Australia to Australian Standards AS/NZS 2699.1.2000. 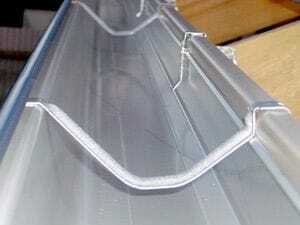 MSI produces gutter support brackets in the millions, for a range of gutter profiles and clients. Call today and ask if we have something that can suit your application. Generally available in a galvanized finish. MSI makes a variety of products suitable for steel frame and timber frame construction, whether they be wall ties, frame ties or support brackets for wall or roofing. MSI can tool almost any bracket type, with minimal tooling cost and small unit costs. Available in a variety of finishes and different steel types and strengths. MSI manufactures a variety of roof fixing clips suitable for the installation and security of roofing tiles. 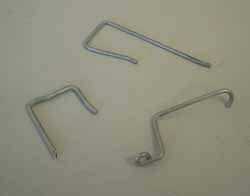 These include backend and side lap tile securing clips. Products are design registered, and manufactured from Drawn Heavy Galvanised Spring Wire to meet Australian building standards.. 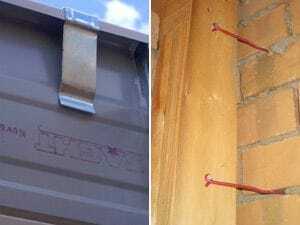 Clips can be purchased through 'Roof Fixing Supplies' based in Dandenong. MSI operates high speed straighten and cut machines to provide our customers with wire from 1.5mm to 10mm in diameter, in any number of grades including HDLC, stainless, spring, galvanised and more specialised and imported grades of material. This important part of our business can provide you with wire in straight lengths to a maximum 6 metres long. Straight and cut wire is suitable for handymen at home and businesses who need a piece of rod or wire for any number of applications. 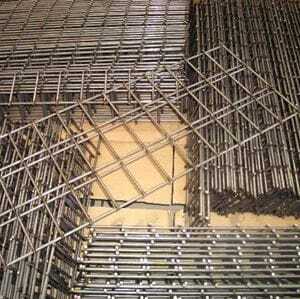 Light gauge mesh and panels are supplied by MSI from state of the art mesh welding machines. Mesh applications including reinforcing mesh, fan guards, antenna's, air conditioning pad supports, racks for automotive, whitegoods, building and retail work can be accommodated. We can notch, fold and trim to create the mesh you require. 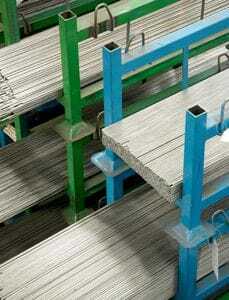 We also manufacture stainless steel mesh panels. We also have a 'handyman' mesh made from 4mm cross wires, so that instead of having to purchase a much larger mesh panel, you can purchase smaller panels up to 1.2m wide. Ask for information today on what panels may be available, or what we are running next.